Icon pack is the first things that come to your mind when we say customization of your phone. If you want to flaunt your phone in front of your friends and want to be cool then use these icon packs. These are the best free icon packs for android. These icon sets are most used and downloaded in play store in 2017 and will be on the top list in 2018. This is a cool free icon pack for complete customization of your android phone. It has a huge library of 3500+ 192×192 high-quality icons. It also comes with 20 HD wallpapers included. It has icon Request tool.It is one of the best phone icon pack I have used. Supported Launchers – Action, Apex, Atom, ABC, ADW, Aviate, CM Theme Engine, GO, Holo, Holo HD, LG (earlier than Android 7.0), Lucid, M, Mini, Next, Nougat, Nova, Smart, Solo, V, ZenUI, Zero. Voxel is another flat style icon set from the same developer. It has 3500+ icons and increasing every month with each update. it is best high quality icons. It support most of the launchers out there. Delta includes more than 1400 hand-designed Icons and supports 20+ launchers thanks to the awesome CandyBar Dashboard. It is one of the most recommended icon pack for android users. Go check out it below its awesome. Flix is an icon pack based on circular shapes icon ispired by Pixel icons. The app is still in beta, new icons will be added soon. This is the among the best free icon packs for android i have seen in 2017. It gives a beautiful and some fresh look to your android phone. It is a paid icon pack but i think it is worth buying now. Beautiful square icons with muted colors and elegant wallpapers. All icons size 192×192 the drawn manually and therefore will appear on your screen just fine. User-friendly application with a user-friendly interface for easy operation in the style of Mater. • Color Variants for different icons. A fresh new take on Material Design iconography. Polycon offers unique, creative and vibrant icons. Spice up your phones home-screen by giving it a fresh and unique look with Polycon. NOTE: Developers have declared that this icon pack is discontinued. but for now it is compatible, and you can use this to customize your android phone. CandyCons is an icon pack which follows Google’s Material Design language. This icon pack uses the material design color palette given by google. Every icon is handcrafted with attention to the smallest details! New-age vintage uniform design with dark stylized icons. Ultra sleek iconography, hundreds of wallpapers included, with support for all popular launchers. It is one of the best free icon packs for android. It always give a fresh look to your Phone. Beautiful, uniform, ultra crisp design with a punched up pastel filter and smooth airy glow effects. Sleek iconography, hundreds of wallpapers included, with support for all popular launchers. Strong splashes of color where they are wanted. Desaturated where they are not.Desaturated colors leaving only red and orange tones with highest quality iconography, hundreds of matching wallpapers included, and full launcher support for all popular launchers! It is the best free icon packs for android having a beautiful set of icons. This is a cute icon pack for girls. it supports the large variety of launchers. If you further want some icons you can purchase the premium version. If you are a black color lover and your wallpapers are always black then this is the best icon packs for your android. It has more than 5000 icons and all are white. These icons will make your android look really awesome. Supported launchers – Apex, Aviate, ADW, Action, CM Theme Engine, Epic, Go, Holo, KK, Lucid, Mini, Nova, S, Smart, Solo, TSF,Themer, Hola, Inspire, Lens, Lollipop, M, Miui, Lightning, SquareHome 2, Microsoft, Evie, Xperia, Yandex, Zen UI. It is a Simple, beautiful, black icons built using the android color-guide.It Comes with over 1,250 free icons and more to come. If you want a clean black and wgite look for your phone then yu must go with this icon set. It’s the lightweight and one of the best free icon packs for android in black and white category. surely I am looking forward to monetizing my blog. 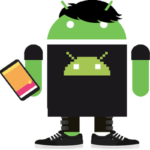 AndroMaster is your Android buddy. Andromaster will provide you your daily dose of Android Tips and Tricks.